Hyo Kang has had a distinguished and versatile career as violinist, teacher and artistic director for the past five decades. Currently, he is on the faculty of The Juilliard School (since 1978), and Yale School of Music (since 2006). In the past, Mr. Kang was on the faculties of the Aspen Music School in Colorado from 1978-2005 and the Japan-Aspen Music Festival in Nagano, Japan from 1994-97. His students have distinguished themselves with top prizes at the world’s most prestigious competitions and are performing with major orchestras worldwide. Mr. Kang’s former students include Gil Shaham, Sarah Chang, and Chee-Yun, among many others. In a career spanning forty years from 1964 to 2003, he has made numerous concert tours in the United States, Europe, Asia, Canada, and Central America. As a member of the highly acclaimed Theatre Chamber Players of the Kennedy Center in Washington, D.C. for more than twenty years, he has given many works their American premieres, and has enjoyed musical collaborations with artists such as Leon Fleisher, Pina Carmirelli, and Walter Trampler. 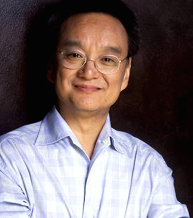 In 1994, Mr. Kang founded Sejong Soloists – a first-class string orchestra hailed by CNN as a top ensemble of today – and has served as artistic director, directing Sejong’s 500 performances in 120 cities around the world. Hyo Kang was born in Seoul, Korea and graduated from the Juilliard School where he studied with Dorothy DeLay. He also studied with Berl Senofsky at the Peabody Institute.